spotted by the fan community, and it's time to finally start talking about it openly. upcoming 1.32 update both for Euro Truck Simulator 2 and American Truck Simulator. may have slightly different ideas of what it should include and how far it should go in depicting reality. there are tons of new models, artwork, textures, and paint jobs. there are still some elements left where we see an opportunity to go deeper eventually. truck upgrade shop, but there's so much more included. offer the right options for your new trailer to fit into your company's visual style. 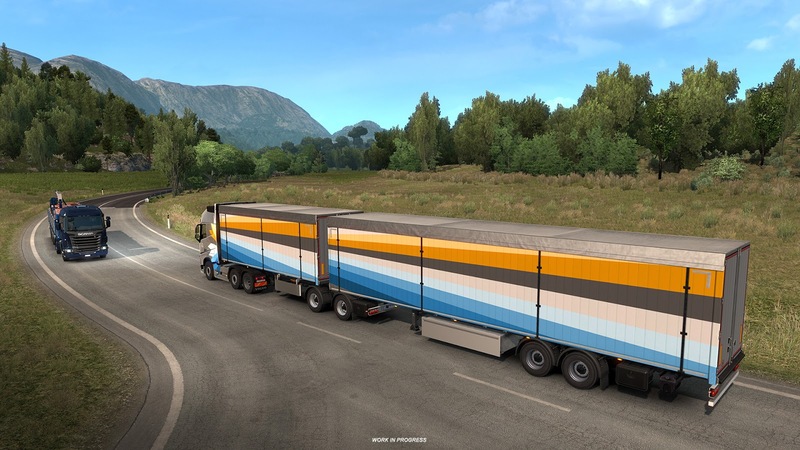 From now on your AI drivers are able to choose fitting trailers from your trailer pool and use them! coming in the update as ready to be owned. 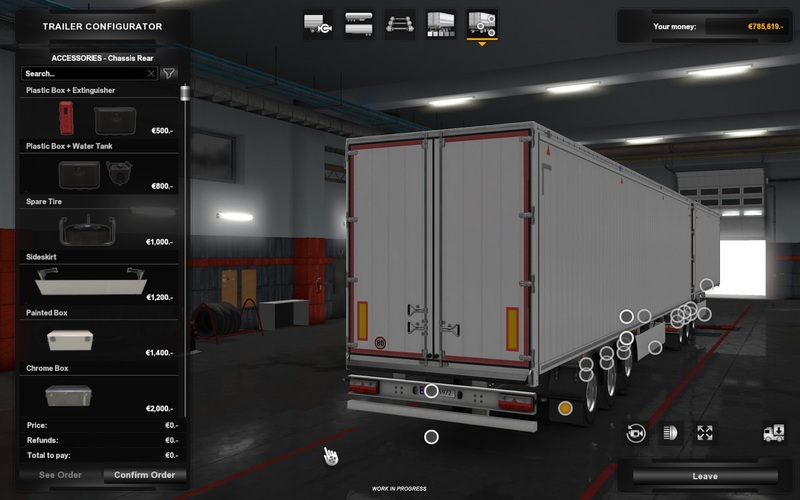 Moreover, ETS2 will host moving floor trailer variants. 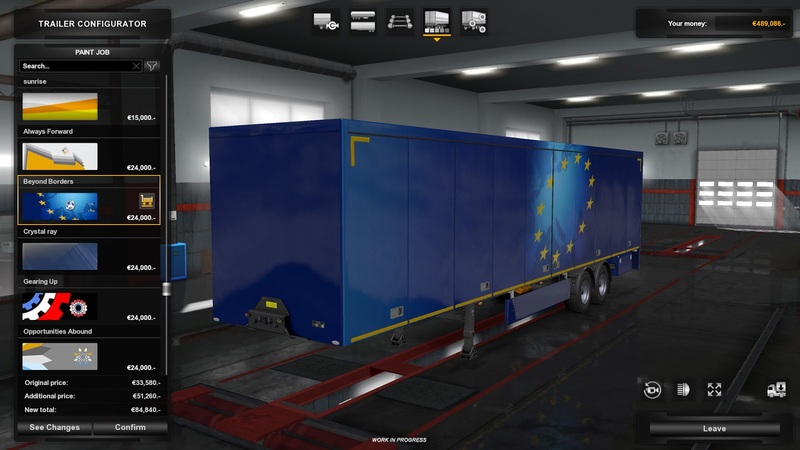 For European trailer configuration, you can choose from single, double or also the newly available b-double. many trailer lengths and types combinations to haul cargoes of all sizes. We added one more fitting feature: ADR (HAZMAT) cargoes will „spawn“ appropriate warning sign on your trailer. 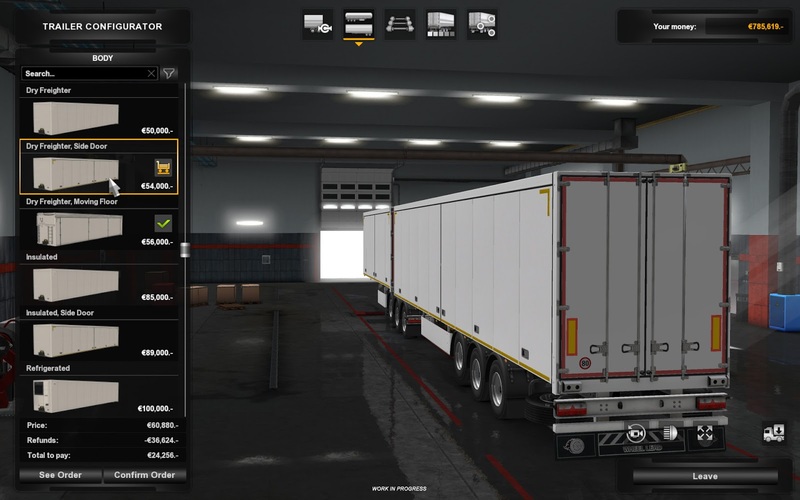 The new addition of trailer ownership logically means big changes to the in-game economy. deliveries on your own trailer. Yes, we had to create a LOT of new cargo visualizations for this new feature. as a part of the upcoming Open Beta, so the wait should not be overly long. We hope you’ll be just as excited for its release as we are!